Silver Oaks homes are located in the coastal community of Aliso Viejo. 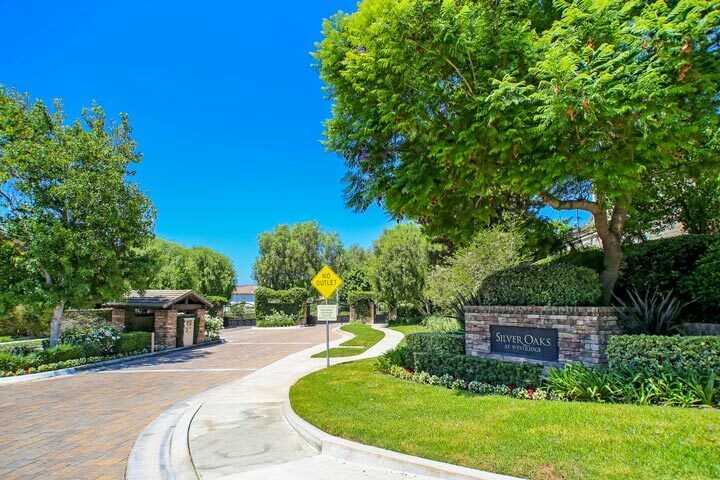 The Silver Oaks gated neighborhood is located in the greater Westridge area of Aliso Viejo. Homes were first built here in 2000 and feature four to six bedroom homes that range in size from 3,610 to 4,000 square feet. These are large scale homes that offer open floor plans and can feature large kitchen center island, gas fireplace, walk-in closet, jacuzzi tub and separate shower and large backyards. Select properties will offer main floor bedrooms. Below are the current Silver Oaks homes for sale and for lease in Aliso Viejo. Please contact us at 888-990-7111 with questions regarding this community and any of the houses listed for sale here.